Manufacturers of saltwater fish weighing scales understand the importance of corrosion-resistance and accuracy. Arlyn Scales produces the most corrosion-resistant platform scales on the market, and their accuracy is second to none. Although there can be lack of agreement about the total weight of catches, nobody can argue against the data that an Arlyn Scales product records. The scales can also be connected together, to computers, to networks, and even to the Internet. This is very beneficial for modern commercial fishing businesses because free software enables automatic posting of the weight data to Excel spreadsheets or Access databases. Saltwater is a highly corrosive material, and the best way to protect platform scales from corrosion is to make them out of stainless steel. Arlyn Scales 3200-SS platform scales come in several models that are entirely fabricated from stainless steel. Even the highly accurate and matched load cells are made from stainless. The scales are available in 500-pound and 1,000-pound capacities, which is enough to measure the weight of most big game fish found in the deep sea (30 meters or deeper). The scales can also handle commercial fishing catches that are put into containers. The importance of matched load cells is that an entire circuit board is eliminated from our platform units. Because the majority of our competitors don’t manufacture their own load cells, they rely on summation boards to adjust their output signals. However, summation boards are one of the leading causes of operational failure, meaning down time or room in the budget for a new scale. The Arlyn Scales platform units achieve 0.1 resolution on the 500-pound models and 0.2 resolution on the 1,000-pound models. This means that a 450-pound Marlin will weigh in + or Ð one-tenth of a pound, thereby removing all doubt that a world record may have been broken. A 700-pound bull shark will weigh in at + or Ð two-tenths of a pound. Rather than using spring resistance to estimate weight, our load cells contain four strain gauges that measure the change in electronic resistance as weight is applied. The strain gauges have metal patterns that bend slightly with applied weight, and this causes two gauges to gain electronic resistance while the other two lose resistance. The analog signals from the strain gauges are then amplified and digitized for recording as numeric values. These values can be set to several different units, for example kilograms or pounds. Another way that Arlyn Scales achieves reliable accuracy is the use of four load cells per platform scale, one at each corner of the platform. Other scales use only one in the middle of the platform, and this design makes the platform unstable and introduces errors due to lateral forces acting on the load cell. The lateral forces distort the electronic signals, and that yields less accurate weight data. Along with being made of stainless steel, all Arlyn Scales units are welded rather than bolted together. This eliminates problems with loosened or broken fasteners. The load cells are mounted in protective machined pockets as well. Along with protecting the core components, this design lowers the profile of the platform scale, thereby making it easier to move containers of fish onto the scale. The onboard intelligence of the scale will also calculate true product weight from tare weight. The Arlyn Scales platform units handle overloading and shocks very well. If a container of fish is dropped onto the platform scale, the event will likely not cause any damage to the scale. When you incorporate Arlyn Scales platform units into your fish weighing scales, you will be able to offer tougher and more reliable scales as a result. Since Arlyn Scales is a factory-direct business, the overhead cost is surprisingly low. Additionally, since the platform scales are also digital, you will be able to offer corrosion-resistant LCD displays and color touch-screen controls. Besides sports anglers who want accurate weight measurements for beating world records or for true bragging rights on having landed a big one, the commercial fishing industry will benefit from your use of Arlyn Scales platform units in your fish weighing scales. The platform scales can be ordered with different options for connecting computers to them, such as data logging, USB, and wired or wireless Ethernet. Free software from Arlyn Scales can then record catch data and put the information directly into Excel spreadsheets or Access databases. 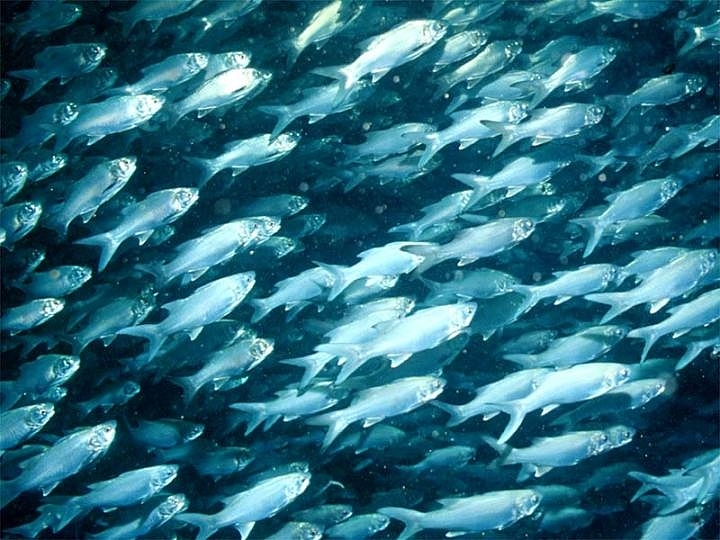 In turn, this will allow accurate and timely information processing for the commercial fishing business to estimate profits and other high-level facts critical in decision-making. Arlyn Scales platform units can also be connected together using RS-485 ports , up to 10 scales. This could be useful when designing fish weighing scales for use in processing plants. Because Arlyn Scales sells factory-direct, we can build custom scales to your exacting specifications. This enables scale designs that were formerly impossible to realize. Imagine what it would mean to your business if you could offer fish weighing scales that could not be obtained elsewhere and if your company could continually stay ahead of your competition. If you want to offer less expensive fish weighing scales to your customers, you can order Arlyn Scales platform units made of steel and finished with corrosion-resistant epoxy . This will open your market to more budget-conscious customers, but the load cells, which are all made of stainless steel, will still offer the same high accuracy as the fully stainless steel scale models. If you’re interested in learning more about our scales and how they’ll meet your deep sea fishing needs, contact us today! We can be reached by phone at (800) 645-4301 or through the form on our Contact Us page. Our representatives will answer all your questions and help guide you to the most appropriate and cost effective solution for your needs.